MultiPar helps protect backups and transfers with error detection and recovery. The program looks at information from any number of files and folders to function as insurance against data loss. The program generates companion "PAR" files that are built from a percentage of the originals, using more space for greater protection (e.g. 10% of the original for already safe methods, 50% for frequent failures). The program has a wide variety of customizations including format, processor usage, and various other tools available to the standard PAR format. For backups, it can also choose PAR size by available free space (e.g. 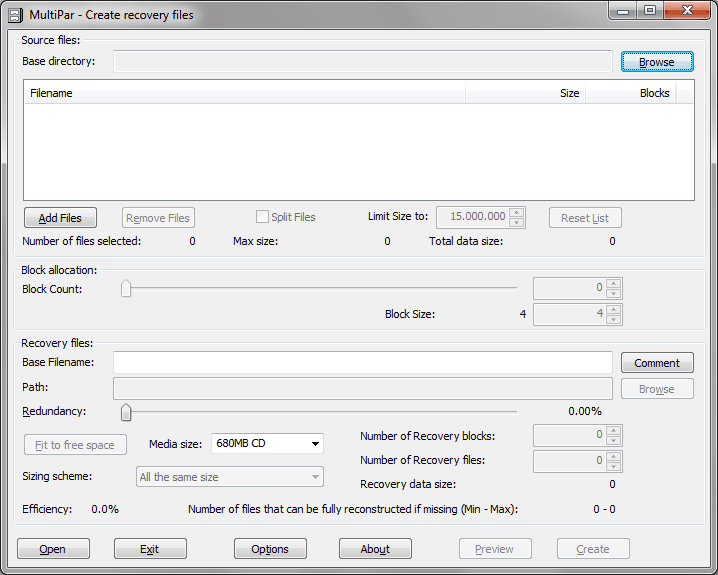 saving a 3 gig file to a 4.7 gig DVD will mean generating a 1.7 gig PAR file). Functional in Linux/Mac via WINE. The program supports multi-threading, multiple processors, can recurse subfolders, and functions with standard formats including PAR, PAR2, and (experimental) PAR3 formats. Writes settings to: Application folder; however shell integration and filetype associations will write to the registry. @Multiparuser: if you go to the page we link to when you click "website" you can see what the author has posted about the .EU mirror, which is encouraging caution. He does not call it a malicious spam site. BEWARE: multipar . eu is a malicious spam site with altered versions of MultiPar. You should remove all links to it to reduce the Google rating. @shnbwmn: the .EU site's relationship to the .JP address is discussed at length in forums. https://multipar.eu/ - the third-party, unofficial site mentioned in a previous comment (in case someone wants to know). Would it not be better to link Multipar to the official site, instead of this third-party, unofficial site, at least so that the developer can benefit if someone chooses to donate? Fine, thanks for the response. Why you removed the direct download link I added?